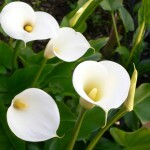 Why Choose EILEEN MAI® Professional, Natural, Organic Skin Care? How is EILEEN MAI® Natural Organic Pure Mineral Makeup different from other mineral cosmetics? 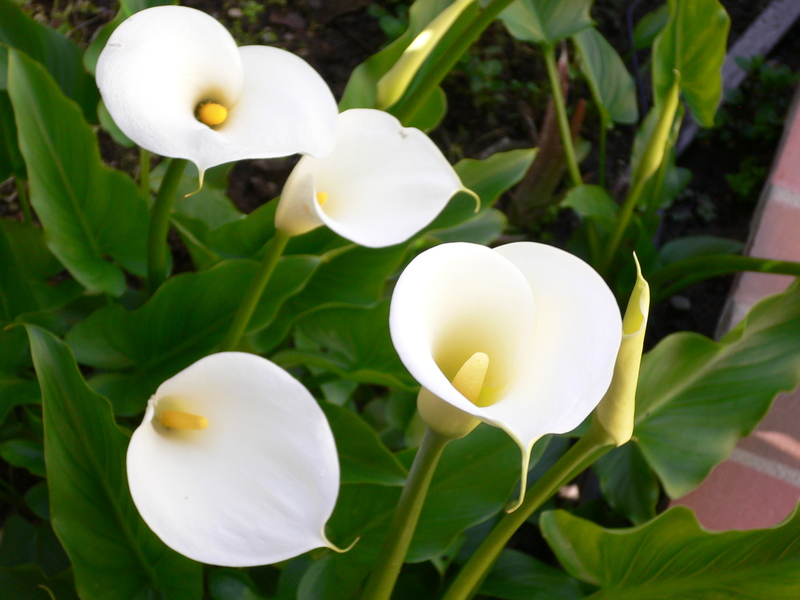 WHY USE NATURAL SKIN CARE PRODUCTS? WHY USE ORGANIC SKIN CARE PRODUCTS? Dermatologists‘ Favorite and Highest Recommendation! The only ingredient that is backed by more than 50 years of objective, scientific research supporting its efficacy in reducing fine lines over the long-term. 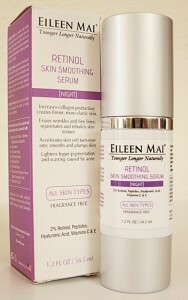 EILEEN MAI® oil-free Retinol Skin Smoothing Serum, containing highly concentrated and potent retinol (natural form of Vitamin A), will increase the rate of cellular regeneration while also build collagen to decrease the appearance of fine lines, hyper-pigmentation, wrinkles, and scarring caused by acne. With only one application, skin will appear firmer and smoother with improved texture, tone and overall radiance. Fragrance Free. Increases collagen production, creates firmer, more elastic skin. Apply to face after cleansing and toning, before moisturizing. Recommended to use every other night or twice weekly. Avoid contact with eyes and mucous membranes. To prevent skin irritation, this serum should be used once or twice a week at first, always at night, to let your skin get used to it. Then, depending on your skin’s tolerance, you can proceed to use it every other night if desired. Use a Collagen or Peptide containing product on the nights you are not using this serum. For those with sensitive skin, you may want to apply a regular moisturizer first. Moisturize your face and neck with serum/cream every morning and night, after cleansing and toning. Always moisturize your face and neck in upward motions. Moisturizing is important for all skin types. In every step of skin care, always use circular, upward motions with a gentle touch on your face. For external use only. Avoid getting product into eyes. If skin irritation occurs, rinse immediately and discontinue use. Keep out of reach of children. Retinol Skin Smoothing Serum: To prevent skin irritation, this serum should be used once or twice a week at first to let your skin get used to it. Then, depending on your skin’s tolerance, you can proceed to use it every other night if desired. Use a Collagen or Peptide containing product on the nights you are not using this serum. Some people with sensitive skin may find Retinol too dry or strong for their skin, in that case, you should try our All-in One Younger Skin Serum instead. NO Parabens, Phthalates, or Harsh Chemicals. Fragrance Free, Gluten Free, Cruelty Free. Vegan Formulas. The purest and most active form of Vitamin A, it penetrates deep into the skin, where it becomes fully operative. Wrinkles and lines are gradually smoothed, moisture and elasticity increase, the complexion glows and damage is diminished. Sample and Professional / Back bar sizes are also available. Please contact us for more detail. Professional / Back bar sizes are for Spa/Salon used only; they are not labeled for retail. 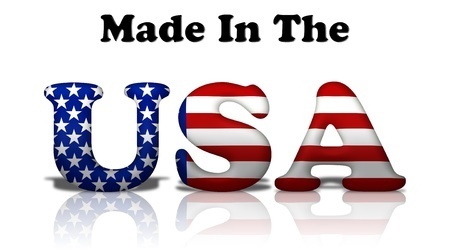 (*) Almost all of EILEEN MAI® beauty products are Fragrance Free, Gluten Free, Vegan Formulas. If any of these factors are a concern for you, please email us at skincare@EileenMai.com for full list of the product ingredients. SUBMIT a PRODUCT REVIEW to win a Prize! "Important - All material provided within EileenMai.com is for informational and educational purposes only, and in no way is any of the content on this web site to be construed as medical advice or instruction. No action should be taken solely on the contents of this publication. If you are in any doubt about any condition you may have then you must consult your doctor."